Ghibli loves their adorable little mascot characters. Whether it be the wide-eyed fox squirrel from Nausicaä of the Valley of the Wind or the grumpy looking dog from Howl's Moving Castle, they love putting in these voiceless creatures that have cute little moments, while all the action is happening around them. One of animation's greatest strengths is the ability to create emotions and characteristics in non-human objects. It's something that Pixar films in particular are noted for and something they were specifically aiming for with Wall-E. I can imagine that before the Pixar animators started on Wall-E, they were sat down in front of various Ghibli movies and told to watch how they create emotion in these non-human objects. 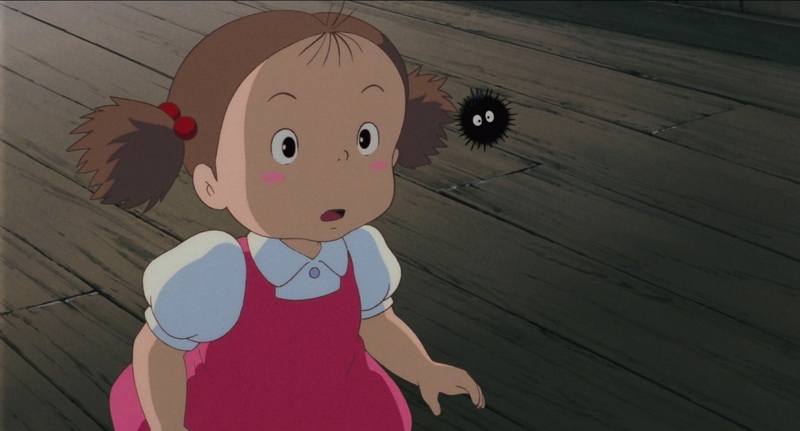 Perhaps the best example of Ghibli's skills in this area comes with the soot sprites, so beloved in My Neighbour Totoro that they brought them back for a second outing with Spirited Away. All they consist of is a little black scribble with a pair of eyeballs. In Spirited Away, they grow spindly little arms and legs that I was drawing on my stick figure cartoons when I was 4 years old (I never was a particularly good artist). But in their little sideways glances, jumps of surprise and sheepish glances around corners, they portray more personality than 100 light novel high school male leads ever could. So what are those little soot spirits anyway? 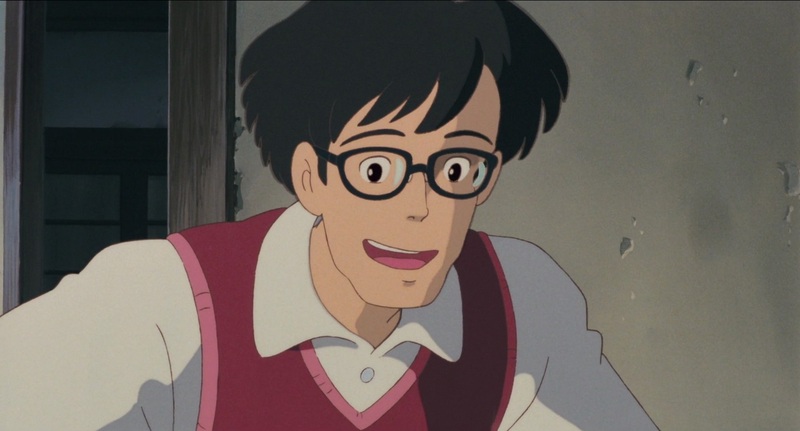 The dad in My Neighbour Totoro spins some fancy tale about them inhabiting old houses but leaving if they believe the new inhabitants are good people. However, I don't trust that guy at all. He's a bit of a hippy who fantasises about country life and tries to become with nature and the youkai. I am more likely to trust the kind of guy who works in a more tough environment and makes no fancy statements about his tough position. I would also trust a guy who has six arms. Hence why I trust Kamajii's explanation that they are all just literally soot that he cast a spell on so they would do work for him, and that they will turn back into soot when their work is complete. 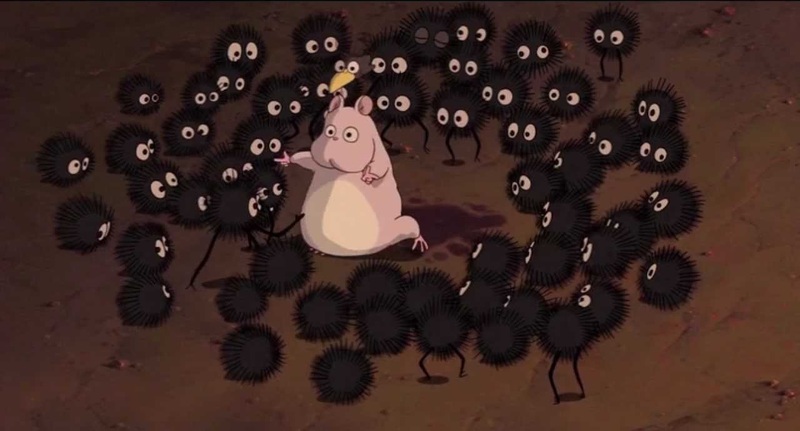 Regardless though, the soot spirits remain some of anime fans' favourite little creatures. They're so much fun to watch that frequently you miss what the scene is actually supposed to be about. Chihiro might be having some kind of conversation about what her next course of action should be to get out of this situation she's caught up in and you'll completely miss every single detail because you're too busy focusing on how the soot sprites are being impressed by a mouse's dances moves. For a yokai created from the idea that when you turn on a light in a darkened room you can see little black spots disappear from the corners, Ghibli created an adorable little legacy. The former errand dog of Madame Suliman has a heart as big as Howl's Castle. The dog Heen turns in his old mistress for a new, much kinder one. Heen is old, overweight, short, and asthmatic, but he gets an "A" for effort. Heen cares.